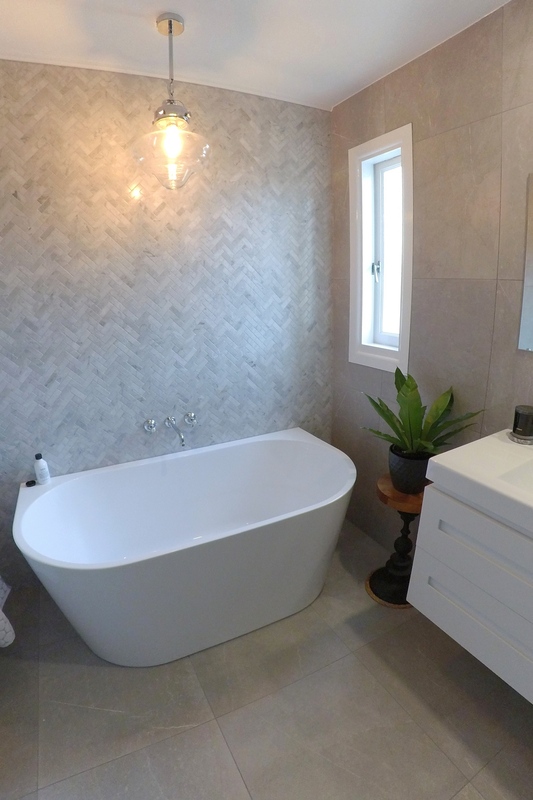 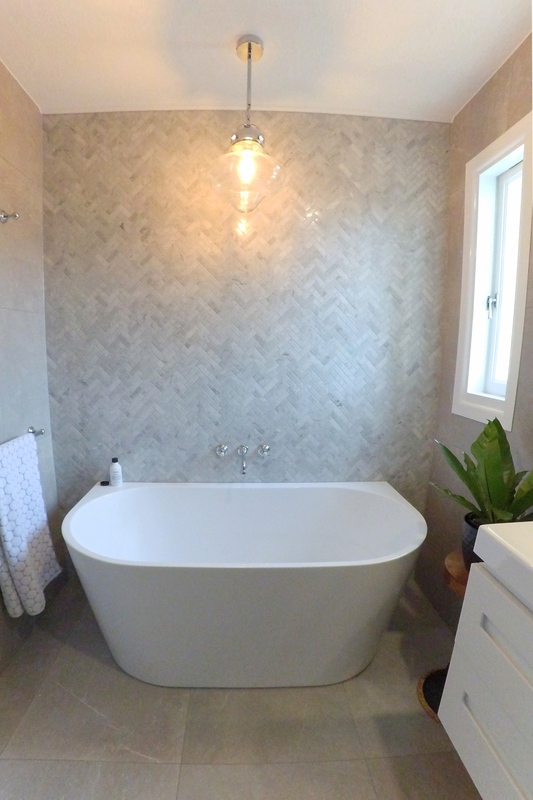 This bathroom design has a stunning herringbone pattern marble feature wall behind a freestanding bathtub. 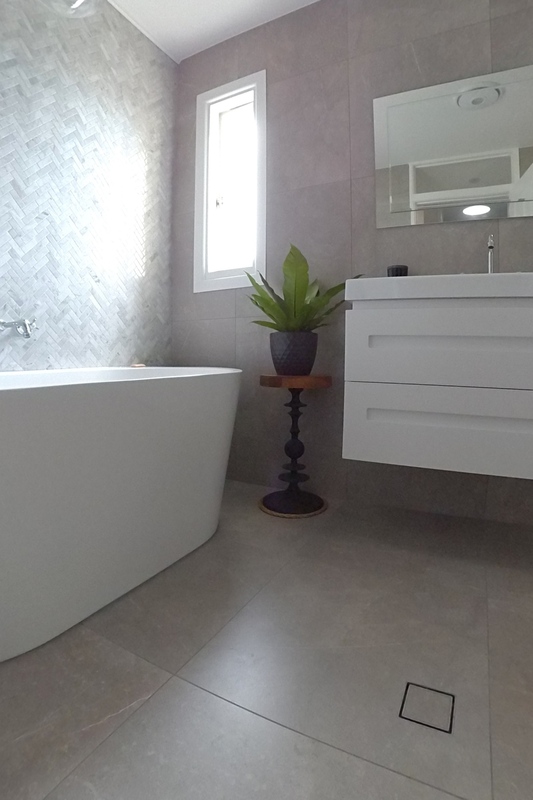 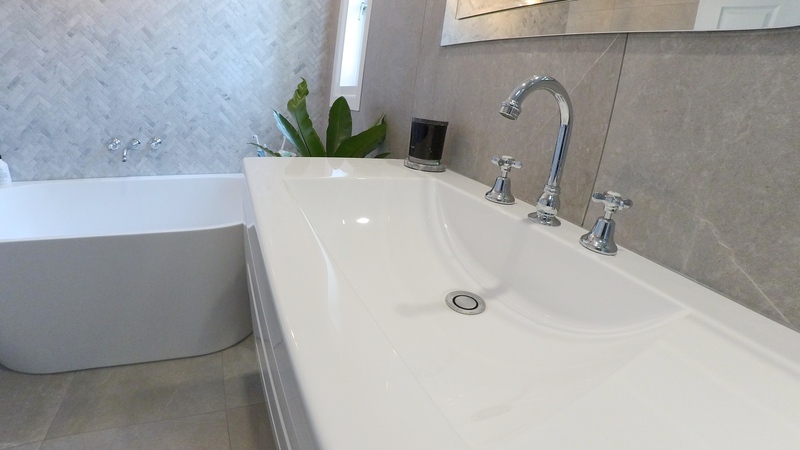 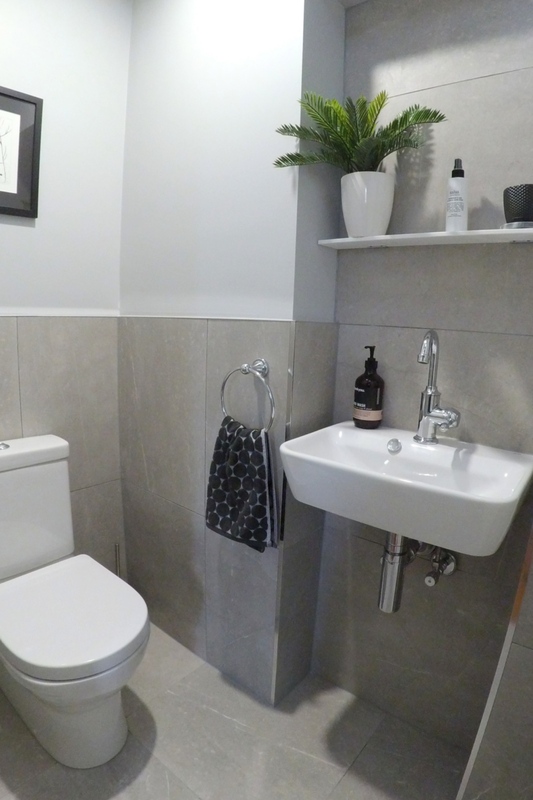 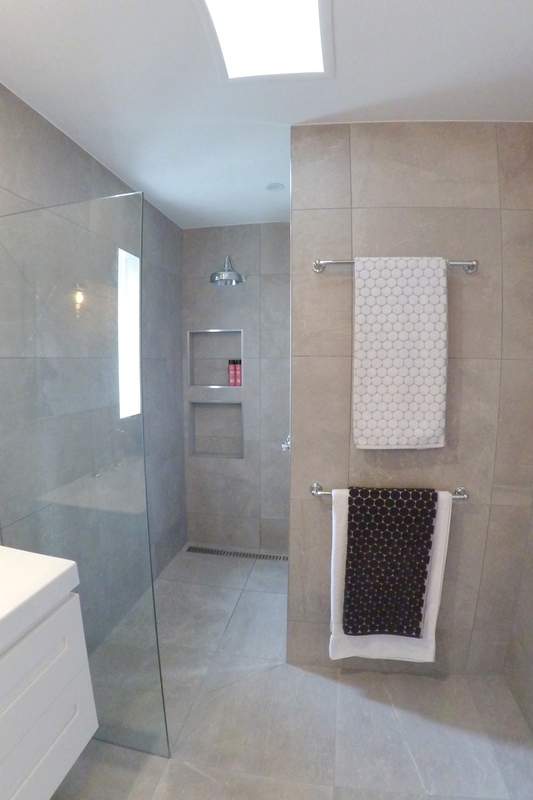 The remainder of the bathroom features 600x600mm porcelain rectified tiles. 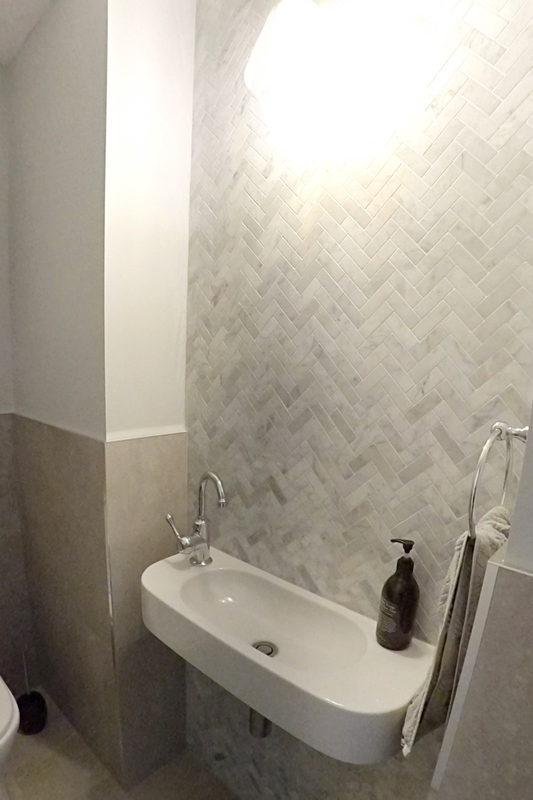 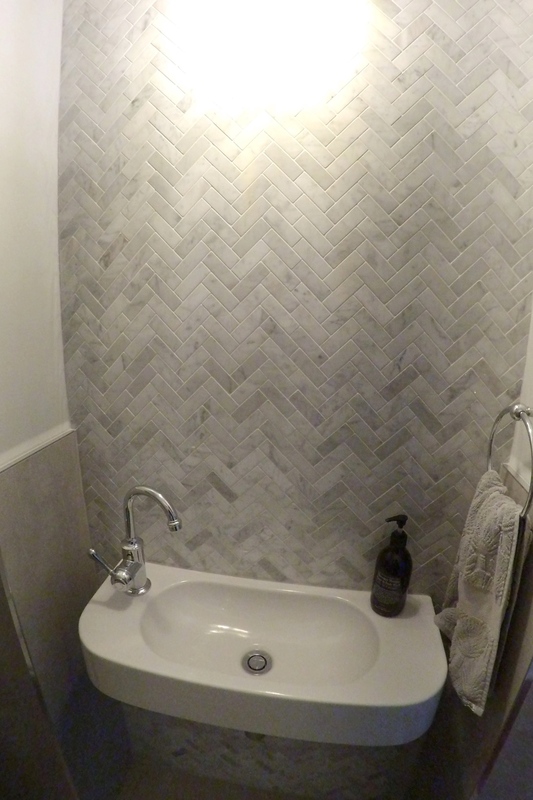 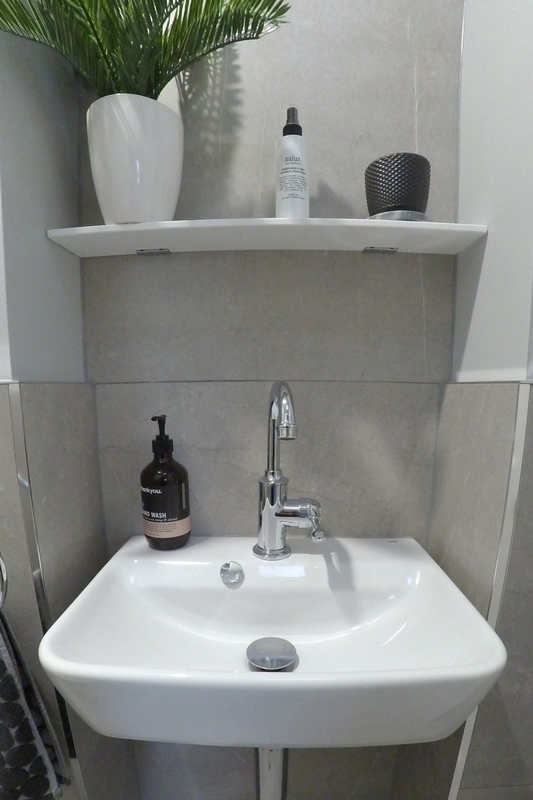 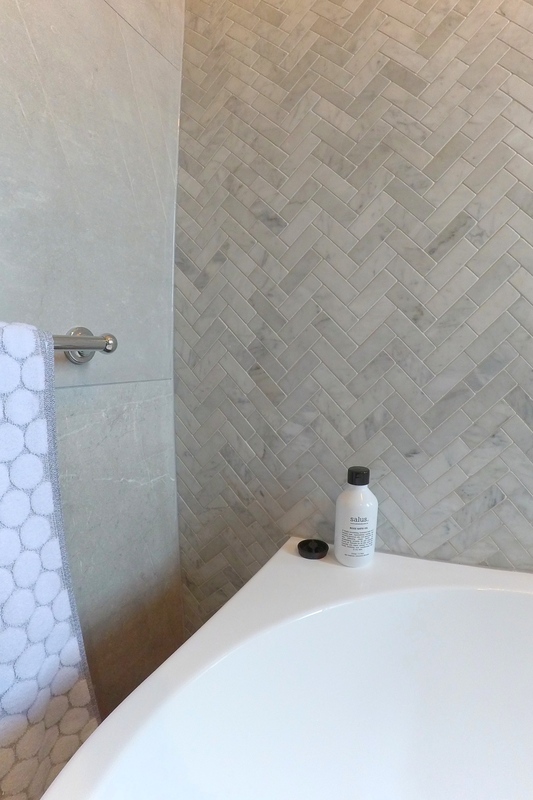 We also carried on with the herringbone pattern in the powder room.